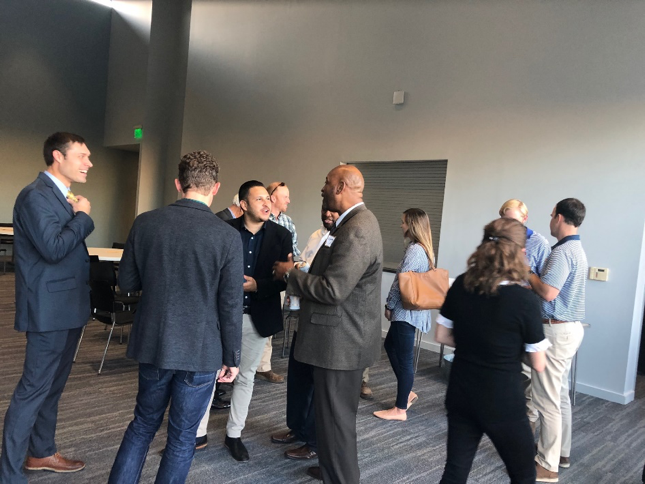 On Tuesday, October 30, the City of Albany, along with a team from Georgia Tech hosted a day-long engagement workshop in Albany as part of the Georgia Smart Communities Challenge. 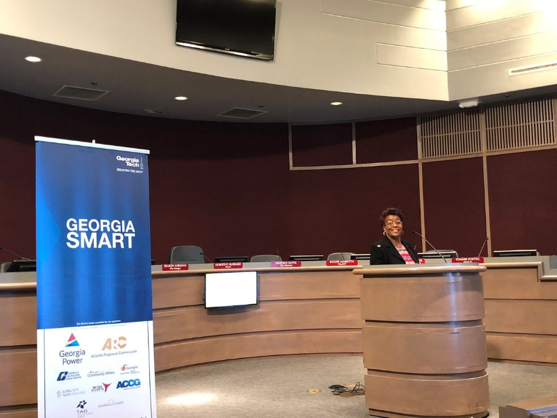 In June of 2018, Albany was selected as one of four communities chosen by this Georgia Tech-led initiative to implement cutting-edge smart technologies in communities in Georgia. The Georgia Smart Communities Challenge provides seed funding, access to technical assistance, expert advice, and a Georgia Tech research partner to conduct research and advise each team. The Albany workshop kicked-off with welcoming remarks from Mayor Dorothy Hubbard and Sharon Subadan, City Manager. Looking towards the future, Mayor Hubbard noted that this initiative hopes to enrich the quality of life for Albany residents stating, “I believe this is a win-win for everyone.” Georgia Smart’s Debra Lam and Greg McCormick introduced the Challenge stating that the initiative is the first grant challenge of its kind in the US and reached local governments representing two-thirds of Georgia’s population while generating upwards of $900,000 in match funding in its inaugural year. Steven Carter, Albany’s CIO, introduced the city of Albany’s project which aims to aggregate and analyze data from several government agencies for use by city leadership in promoting holistic data driven decision making. 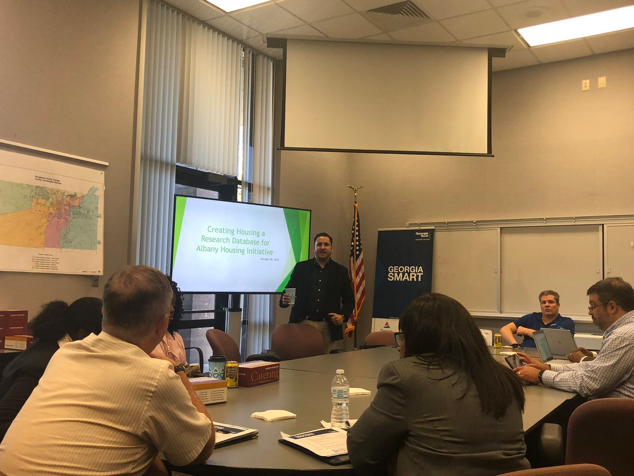 The initiative will initially focus on housing data and assist the city’s Community and Economic Development leadership in making better informed decisions relating to maintaining sustainable housing inventory while improving neighborhood infrastructure. Several department leads gave demonstrations of the power of data portals including Albany Police Crime Analyst, William Sparks, who demonstrated the benefits to both beat officers and citizens alike. Georgia Tech Professors Chris Le Dantec and Omar Asensio led a discussion around the types of outcomes desired from this project and how these outcomes drive the data needs of the program. Working towards the goal of getting better mileage from the city’s data, Mr. Carter indicated he believes “this is something we can do to make Albany better. Dr. Asensio engaging with city department leads in a discussion about data process flows. Steven Carter and the Georgia Tech team presented the project at a Georgia Tech alumni event that evening at the RiverQuarium in downtown Albany. More than thirty Tech alumni attended this social event which ended with an introduction to the Georgia Smart Communities Challenge by Debra Lam and an overview with Q&A of Albany’s project by Steven Carter. The alumni ask engaging questions and were ask by Mr. Carter to spread the good word about this project to fellow Albany citizens. A big thank you to Kathryn Ballou (GT Alumni Association) for planning this event and Jake Reese (Albany GT Alumni Lead) for hosting the GA Smart team. The Georgia Tech GA Smart Team. 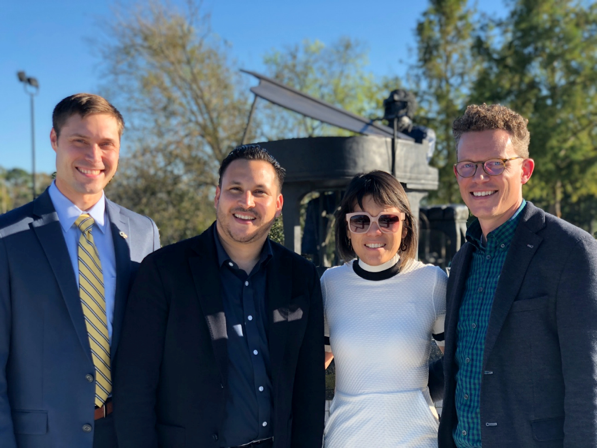 Left to Right: Greg McCormick, Omar Asensio, Debra Lam, Chris Le Dantec. Georgia Smart is organized by the Georgia Institute of Technology in partnership with Georgia Power, Atlanta Regional Commission (ARC), Association County Commissioners of Georgia, Georgia Centers for Innovation, Georgia Chamber, Georgia Department of Community Affairs, Georgia Municipal Association, Metro Atlanta Chamber, and Technology Association of Georgia, and the Global City Teams Challenge.